Good news is on the horizon for some of the 700 locals who have found themselves jobless last week with the closing of Yazaki. 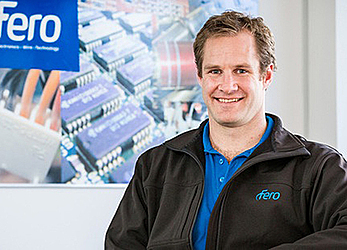 A family-owned New Zealand manufacturer, Fero, has offered 60 jobs to employees on the same rate they were paid by Yazaki. It is the start of something the company hopes to grow to enable them to offer at least 200 jobs in the next two years. Fero produces wiring units that fit into products such as parking meters and police cars. General Manager, Sam Fulton, told the Samoa Observer they are looking at starting in November. “It's our goal to be employing 200 staff within 24 months,” he said. “There's a bit of dependency on the amount of work that we can secure for the plant and we'll be looking towards the Australian market for that." Samoa Observer: Can you give us a bit of background about how this came about? Sam Fulton: We have been looking to develop our own offshore manufacturing capabilities and wanted to make sure that we were doing it closer to home. We had originally looked at Fiji as an option, but when we heard of the Yazaki closure, we decided that we should investigate the operation. Australian Arrow and Yazaki have helped us through the decision making process and have been very proactive in assisting us. We were very impressed with the level of knowledge and skill demonstrated by the Yazaki staff and felt that this was a very good opportunity for us and to assist with keeping the skills and knowledge in Samoa and to be able to satisfy our customers demands. Samoa Observer: Since you started the negotiations, what is the progress so far? Sam Fulton: We have been approved by the Government as a qualifying project under the customs regulations 2010 as per F.K. (17) Faapitoa 08. We have an agreement to lease approximately 8500sqm of space in the current Yazaki building in Vaitele. We have established jobs for 60 of the current employees, on the same rate that they are currently being paid at Yazaki. We have orders from our customers for products that are to be made in the Fero Samoa factory. We are looking to be fully operational by 1 November 2017, depending on how we can work through the Yazaki close down and pack up of their plant. We have plant and equipment ordered, paid for and scheduled to be delivered into Apia in September and October. We are now very busy with set up and planning on operations. Samoa Observer: What is your goal not just for the company but also for Samoa? Sam Fulton: Our goal for the company is to establish 200 jobs in the first 24 months. From there we see that the sky is the limit. We have already had enquiry from around the world to quote and sample work from our Samoa factory, and we are not even established yet. The Goal for Samoa is to make it work. We know that our success is paralleled with the success of Samoa in the project. We are committed to using local management and developing the skills and qualifications of the team in Samoa. We know that the only way for this to succeed is for us to ensure that it provides benefit to the people and Government of Samoa. Samoa Observer: Tell us about some of your future plans? Sam Fulton: For the future we see that there is a very good opportunity for Fero to promote Samoa as a manufacturing centre in the Pacific. The costs of manufacturing in NZ and Australia are high and getting higher. A lot of companies are looking to Asia to provide low cost solutions to their manufacturing problems and in doing so are overlooking the benefits of operating in the Pacific. We feel that the Yazaki staff are one of the best kept secrets in the Pacific and that New Zealand companies could benefit hugely from relocating some of their manufacturing requirements to Samoa. Obviously we must get our business established and sustainable to demonstrate this. The great thing is that Yazaki have demonstrated over the last 26 years that it can be done sustainably and successfully. 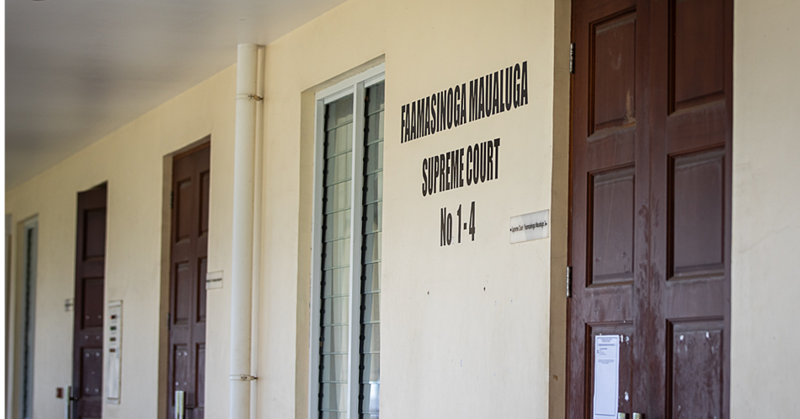 Samoa Observer: Is there anything else you would like to elaborate on? Sam Fulton: The Samoan people should be feeling confident that their Government is doing a good job in making a project like this more easy for a Foreign company to set up. We have found that we have got a lot of access to Government Departments and Ministers and that there is a huge willingness and cooperation from the Government to encourage and support the type of development and investment that we are making. I can tell you that dealing with Government Departments in Samoa is much easier that dealing with Departments in New Zealand. It is a very big job that we are undertaking, but we have felt very supported and welcomed in Samoa. We are very excited about this opportunity and we are already proud of the team that we have assembled and their attitude to making this work.